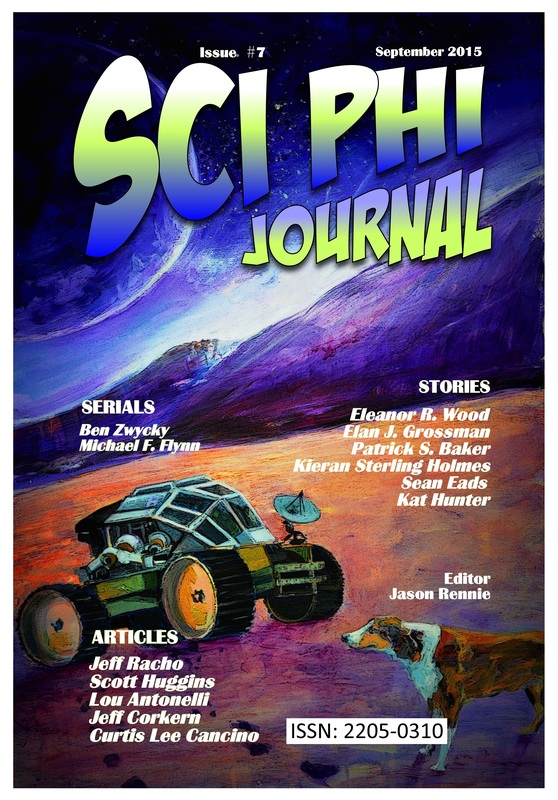 Sci Phi Journal Issue 7 is now on sale! now availalable from amazon in kindle ebook format and in paperback. You can now also subscribe to Sci Phi Journal via patreon and get better prices on both kindle ebook, epub ebook and paperback issues of the journal, including back issues you may have missed. This cuts out the middleman, giving you a better price and the journal’s editor more income per sale, so it’s a win-win! This entry was posted in Announcements, Beyond the Mist and tagged Beyond the Mist, discount, Philosophy, Sci Phi Journal, Science Fiction, subscription by Ben Zwycky. Bookmark the permalink.